In 2015 Country Stores Of Iowa contributed more than $22,000.00 to dozens of different charities across our marketing area. Each year Country Stores Of Iowa receives hundreds of requests for donations of funds and products. While we would like to contribute to every worthy cause, our funding is limited to support basic human necessities and education. This would include food pantries, human health issues, police, fire, and military protection and childhood educational opportunities. Our donation requests are reviewed once per month. In order to consider your request we must receive them by the first of the month in which they are reviewed. Only online, complete requests will be considered. 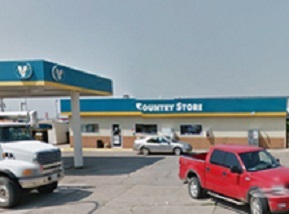 Country Stores Of Iowa will only consider requests from the communities we serve. An organization does not need to based in the community but must serve the community we are located in. Representatives from Country Stores Of Iowa will not be able to meet in person to discuss a funding request. Individuals, including scholarships, loans, beauty pageants, race cars, etc.